A light blue background with dark blue stars. This is a denim friendly blue. 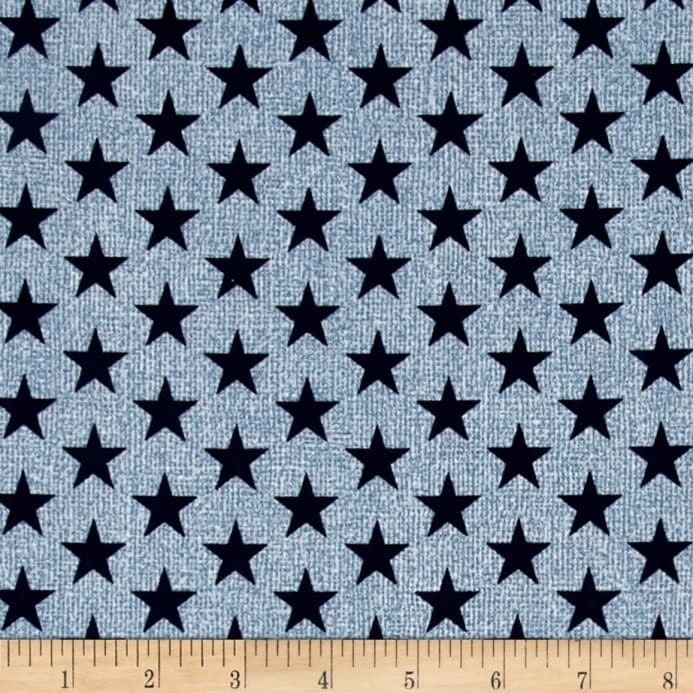 The background has texture like denim jeans and has small dark blue stars. You will find many uses for this fabric.